As a group, Indigenous students face significant barriers to educational achievement. In order to overcome these barriers many Indigenous parents are enrolling their children in Independent schools. Indigenous student enrolments are spread broadly across the sector. In 2018 there were 13,483 Indigenous students enrolled in 887 Independent schools. 78 per cent of Independent schools in Australia enrolled Indigenous students in 2018. Enrolments of Indigenous students in Independent schools have grown at an average annual rate of six per cent per year over the last two decades. There are some Independent schools that provide education to significant populations of Indigenous students, and some Independent schools are entirely Indigenous. A significant number of these schools are located in rural or remote areas. It is often the case that Independent schools in remote Indigenous communities are the sole providers of education for these communities; 38 schools in the Independent sector have an Indigenous enrolment of more than 50 per cent. 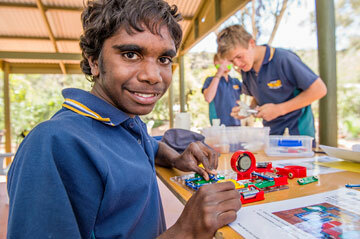 Many Independent schools are involved in community based programs to provide scholarships to Indigenous students. Other Independent schools, such as urban and regional boarding schools, also have large numbers of Indigenous students. Many Independent boarding schools provide scholarships to support access to education for Indigenous students or are involved in community based programs to provide scholarships to these students. Independent schools are Australia’s largest provider of boarding schools for Indigenous students. Independent schools that serve significant or solely Indigenous student populations often have very limited capacity to raise private income through fees and fundraising; in many cases this ability is non-existent. These schools rely heavily on government assistance to maintain their operations. The majority of these schools face high costs in employment; provision of staff housing; transport; construction; maintenance; and accessing professional, student learning and cultural opportunities, due to their remoteness or distance from large population centres. Schools frequently need to provide many additional educational, health, recreational, wellbeing and pastoral care services in order to assist students to learn successfully.